Located in downtown Portland’s West End, on the edge of the Pearl District, are the Crystal Hotel and Ballroom blocks – an area that could be renamed “rock ‘n’ roll row." Located in downtown Portland’s West End, on the edge of the Pearl District, are the Crystal Hotel and Ballroom blocks – an area that could be renamed “rock ‘n’ roll row.” The Crystal Hotel, a century-old flatiron classic, has 51 guestrooms. Each room’s décor is inspired by a song or performance from the neighboring Crystal Ballroom's glorious past 100 years. Our bright, first-floor restaurant, Zeus Café, offers breakfast, lunch and dinner, using fresh Northwest ingredients, and featuring seasonal dishes and house-made desserts. And with an extensive spirit, wine and craft cocktail list, this is a sophisticated café available for your refreshment from early morning until late night. Set below street level, our saltwater Soaking Pool ebbs and flows in the midst of bustling downtown Portland. Hotel overnight guests can unwind after a long day of exploring or before heading to the Crystal Ballroom for a concert. Al's Den is an intimate music venue named for Al Winter, Portland's gambling overlord who, in the 1940s, managed his vast empire that spanned the Pacific Northwest and into Las Vegas from this very location. Today, we hold live music nightly, artist residencies and more. Venture through Al’s Den to Ringlers Annex, a hub with a speakeasy feel for enjoying a creatively crafted beverage—upstairs or downstairs, inside or out. Walk the Crystal blocks and discover the neon lights of the Crystal Ballroom. On the street level you’ll find Ringlers Pub, featuring classic pub fare and named for Crystal Ballroom dance instructor Montrose Ringler—where pinball, shuffleboard and pool tables beckon. When it comes to Portland, Oregon hotels, the Crystal Hotel, well, rocks. We offer a limited number of pet friendly rooms. Zeus Café allows pets at sidewalk seating only. The Crystal Hotel is on the National Register of Historic Places. The Crystal Hotel has 51 comfortable guestrooms, each inspired by a song or performance from the Crystal Ballroom's past 100 years. Colorfully painted panels and headboards anchor the rooms, while deeply-hued walls, black velvet drapery and animal print upholstery lend a rock ‘n' roll vibe. View the Room Names and Galleries. There are 9 king suites with bathrooms. We also offer 39 queen rooms and 3 double twin rooms with convenient access to individual bathrooms down the hall. Large windows afford views of the city from all angles. All overnight guests receive complimentary use of the subterranean, saltwater soaking pool. Same day reservations must be made by calling the hotel. Street parking. There are several metered spots around the neighborhood – be sure to put the correct amount of cash on your meter ticket and leave it inside your curbside window. Covered parking garage beneath the INDIGO@twelve/west (on S.W. 12th Ave. between Washington and Stark Sts.). Daily and overnight parking available; no in and out access. Covered parking garage at the Brewery Blocks.There are two entrances – one on 12th Ave. and one on 13th Ave., both between N.W. Couch and Davis Sts; no in and out access. Two public parking lots (S.W. 13th and Washington St.). No in and out access. Valet parking is available for guests coming to enjoy a meal or a drink at Zeus Café or Al's Den daily, beginning at 5 p.m.. The attendant can be found at S.W. 12th Ave. and Stark St., in front of Jake's Famous Crawfish. There is a 15-minute zone directly outside the hotel front desk to park while you arrange for your pass. You must register your vehicle at the front desk and pick up your parking pass ($25 per night, billed to your room) prior to parking in the public lot (to avoid a ticket and/or a tow). The hotel guests' lot is one block away on S.W. 13th Ave. and Washington St.
Hotel guests have the benefit of in and out access from the lot, just show your parking pass. Room and package rates are the same for single or double occupancy. A credit card for authorization purposes and ID are required at check-in. Debit cards are accepted, however McMenamins is not responsible for overdrafts caused by holds on your account. Add $15 per person after double occupancy. Add $15 per pet, per day. Please read our Pet Policy page. Children age six and under stay free. For ADA rooms, please contact the hotel directly. Add 15.3% city, state and county lodging tax to all room rates and overnight packages. Cancellations made less than 48 hours before arrival time are subject to penalty. All overnight package are subject to availability and excluded from major holidays. Stay with us often? Join our Frequent Guest Program and earn a night on us! At McMenamins Mission Theater (1624 N.W. Glisan St.), have a handcrafted ale and more while you enjoy recent-run films, live music, comedy acts, variety shows and beyond. Our Blue Moon, Rams Head and Tavern & Pool pubs are great stops during a day of shopping and browsing in the Alphabet District on N.W. 21st and 23rd Avenues. Powell's City of Books (1005 W. Burnside St.) is the largest new and used bookstore in the world, taking up an entire city block. The Pearl District is home to upscale boutiques and restaurants, art galleries and contemporary architecture. Catch a major league soccer game at Providence Park (1844 S.W. Morrison St.), home of the Portland Timbers. Stay at our historic hotels and earn free nights! You can accrue as many points for reward nights as you are able - there are no limits! Please note: We are unable to issue points for reservations made through Expedia and Booking.com. 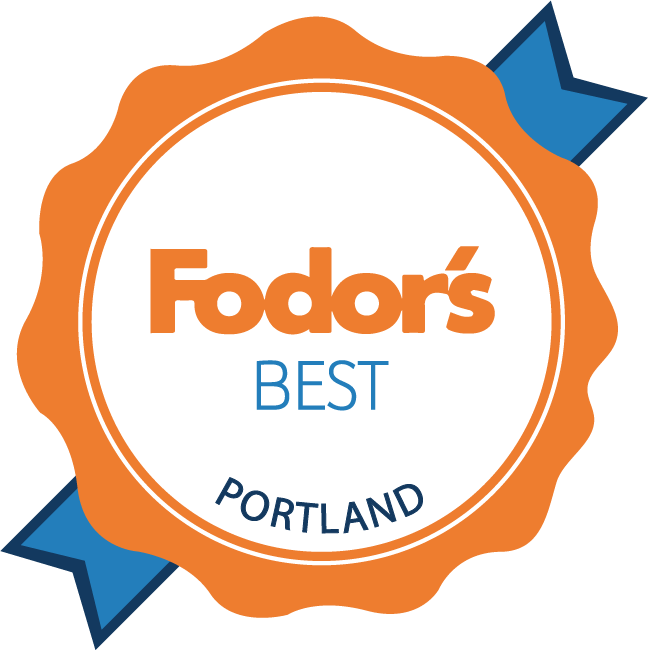 For best results, book directly through mcmenamins.com or by calling our hotels. Limit one room per guest per night. First, create or update your profile in our online reservations system and follow the prompts to join the Frequent Guest Program; you'll receive monthly email reminders about the program. Stay with us! Points are automatically rewarded 72 hours after check out - you'll receive 100 points per night in rooms with a common bath, 150 points per night in rooms with a private bath and 50 points per night in Hostel rooms. Your accrued points can be viewed at any time in your online profile. Please note: points accrued during your stay are not available for immediate redemption. When you've accrued 900 points or more, availability search results on our online system will include a "900 point" rate for rooms (based on availability). Choose this rate to redeem your points. Add-ons, like our Romance Packages will still be available at regular prices. You may also book redemption nights by phone or in person for future stays. This offer is for individual bookings only; the offer does not apply to contracted groups or conferences. All of your qualifying nights must be booked under the same guest profile for points to accrue correctly. Only 1 room per night is accruable. You must be a member of the Frequent Guest Program to accrue points and redeem your complimentary stays. Qualifying nights begin the day you sign up! The free room is based on a standard king or queen-size room. The Grand Suite at Grand Lodge, Family Suite and Parrish House at Old St. Francis, and Family Rooms at Edgefield are not available for redemption. Based on availability; blackout dates may apply. No credit for "no-shows." Reward nights and free or sponsored promotional stays are excluded from earning points in the program. After 5 years of inactivity, your profile points and any reward nights are lost. No credit for "no-shows” or cancellations within cancellation policy. Any questions can be sent to loyalty@mcmenamins.com. Please note: All rules are subject to change. As an overnight guest of the Crystal Hotel, you have the opportunity to purchase tickets for the Crystal Ballroom show featured on the night of your stay! You may purchase tickets when making your reservation or or up to 48 hours before the night of the show. Please note that these packages are limited and can sell out. Please call to reserve your tickets. 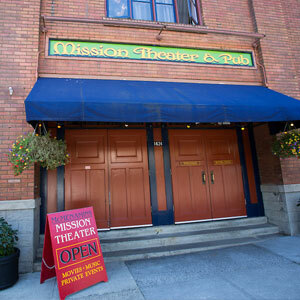 Our historic Mission Theater in Northwest Portland is a short 10 minute walk from the Crystal Hotel and features special movie screenings, live music, engaging talks, select sports event screenings and other fun experiences—click through to view the event calendar and join us for the next event! 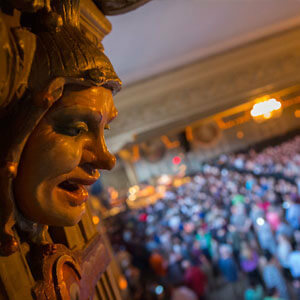 A group of McMenamins staff and fans got together to select what they think are the top fifty songs ever played live in the Crystal Ballroom, including those by artists such as James Brown, The Flaming Lips, Blondie, The White Stripes, Arcade Fire, The Avett Brothers and many, many others. Original artwork by 20 local artists based on these songs performed at the Crystal Ballroom over the past 97 years adorn each of the 51 hotel rooms, hallways, doors, light boxes and more. It's becoming clear that the Crystal Ballroom has a towering companion in the realm of the unconventional. During its various incarnations, this hotel site has been a point of confluence for pioneer city builders, underworld kingpins, musicians, drag queens, head shop patrons, artists, bathhouse denizens and internment camp survivors. McMenamins is thrilled with the opportunity to document and celebrate these experiences through artwork, historic photographs, events and articles. Below are highlights of what we've learned so far, but the story is far from complete. In the 1850s, this hilltop was known as Smith Ranch, a bit of misnomer since the land was thick with trees. For years, it was the scene of a large timber-felling and woodcutting operation. But once the acreage was cleared, a suburban neighborhood sprouted, with Hannah and Hiram Smith building the first home (left) at present-day SW 12th & Stark. The hotel building, constructed in 1911, initially housed auto parts stores on the ground floor and residential lodgings above. In 1946, the Zakoji family (right) took over management of the hotel, renamed The Majestic. After having spent the previous several years in an internment camp, here the Zakojis cultivated a homelike atmosphere for a quarter century, attracting many long-term residents who became their friends. The ground floor, however, was a different story. After WWII, when the former tire shops gave way to a raucous night club, inhibitions were dropped and a new attitude of "anything goes" reigned. During a 25-year run as Club Mecca and then the Desert Room, it was a wide-open gambling, dancing, drinking, hook-up joint. People from all walks came to indulge and have fun. Its notoriety peaked in 1957 during a federal investigation of racketeering in Portland. Back in Washington, D.C., the wisecracking, elusive testimony of club owner Nate Zusman (left) to lead counsel Robert F. Kennedy amused the nation. More recently, this block emerged as the Gay Triangle, the heart of the city's queer scene. The Majestic Hotel took on a new persona in 1971 as The Club Baths. Its creatively themed facilities were named "Best Playground of the Year." Meanwhile the old first-floor nightclub became a popular gay-owned gathering spot. First called Kuchina's, it transitioned through a number of owners and names, ending with Silverado, which closed in 2007. Throughout, Stephen J. Boden, better known as Flossie (right), remained an iconic and unifying figure. The Ringlers Annex 1917 flatiron structure was billed as the smallest commercial building on the West Coast at the time of its construction. Today, its cozy subterranean setting offers a clandestine view of the hustle and flow on colorful West Burnside. The Annex opens to the larger expanse of Al's Den below the Crystal Hotel, named for Al Winter, Portland's gambling overlord who, in the 1940s, managed his vast empire that spanned the Pacific Northwest and into Las Vegas from this very location. Together, these spaces are an ideal spot for a casual meeting, team-building session, holiday get-together and more, for up to 80 guests. Enjoy a full bar and catering menu, along with complimentary Wi-Fi service. Available only for day use prior to 2 p.m.